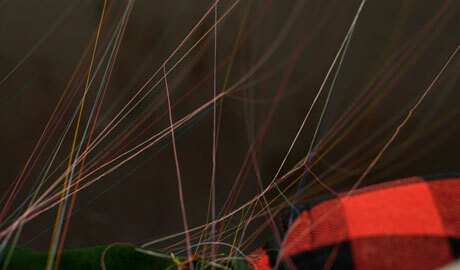 The Mending Project (2009-2013) is an interactive conceptual installation in which Lee Mingwei (TW) uses very simple elements — thread, color, sewing — as points of departure for gaining insights into the relationships between self, other and immediate surroundings. It also constitutes an act of sharing between the visitor and a stranger. 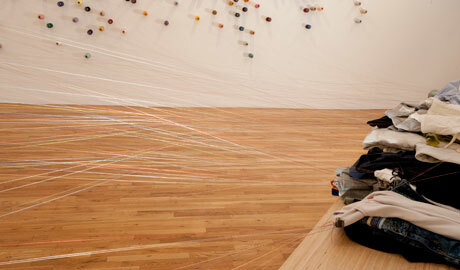 Visitors initially see a long table, two chairs and a wall of colourful cone-shaped spools of thread. During the exhibition's opening hours, a person is seated at that table, to which visitors can bring various damaged textile articles, choose the colour of thread they wish, and watch as the article is mended. The mended clothing or textile, with thread ends still attached, is then placed on the table along with previously mended items. 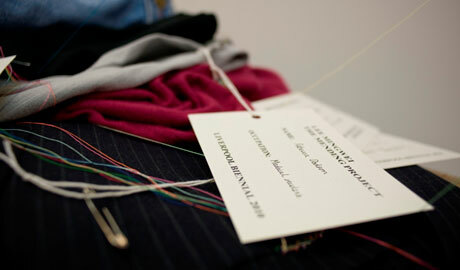 Owners can return to STUK to collect their mended articles on the last day of the exhibition. The act of mending takes on an emotional value as well, depending on how personal the damaged item is, e.g., a favourite shirt vs. an old but little-used tablecloth. This emotional mending is marked by the use of thread which is not the color of the fabric around it, and often colourfully at odds with that fabric, as though to commemorate the repair. Unlike a tailor, who will try to hide the fact that the fabric was once damaged, this mending is done with the idea of celebrating the repair, as if to say, "something good was done here, a gift was given, this fabric is even better than before."